For the area, see Kutai. The Kingdom of Kutai was a minor power in Indonesia, and was founded by Aji Batara Agung Dewa Sakti in the 13th century. Kutai starts out in a vulnerable position, since it's primary rival Brunei possesses a centre of trade, and can field both a larger army and navy. The first thing to do is change your focus to military points, build your army to the forcelimit, and improve relations with Sunda (Majapahit will likely rival you). They have no heir and an old ruler, so chances are you'll get the same dynasty. Ally them, and fabricate a claim on Luwu. Luwu is not a priority, especially if it gets allies, but if Brunei attacks them, try to get it before Brunei does. Once you are at military tech 4, immediately declare war on Brunei. Use a few mercs and don't hesitate to take loans. Move your army into Jesselton right away, which will cause Brunei to send its troops through the uncolonized provinces, where you can let the natives deal with them. If they have allied either Pasai or Malacca, prevent their armies from joining up at all costs. Higher military tech and the nerf for landing troops means you can wipe out most of Brunei's allies. 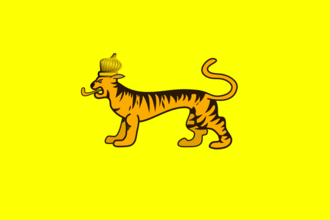 Carpet siege their provinces and and then use 3-4 regiments to siege Brunei, while using the rest to protect them and your land. Once you've won, get any reparations you can, and take Jesselton, Lehad Datu, Brunei. Make sure to humiliate them, which will gain you splendor. Use your splendor to gain the ability of developing your colonies. Your first policies must be Exploration and Expansion, and focus on the high development colonies till you have the above ability. Once you've dealt with any revolts, converted your provinces and paid off your loans, attack Makassar (if they ally Majapahit, don't) and Buton. They usually have loads of cash. Colonize Halmahera for a few days to fabricate claims on Ternate and Tidore. These guys have deep pockets too, and their provinces will generally get you the spice trading bonus. Use the cash to build up your navy and any buildings you may need. Make sure to have a larger navy than both Pasai and Malacca. One of them will usually end up conquering both Sumatra and the Malay peninsula. Declare war on them once you are ready. Doesn't matter if they declare first, all you have to do is not lose. Try to get both Pasai and Malacca, they are important centres of trade. Keep in mind to become a tributary of Ming once you can. They can make expansion into the mainland very painful. This page was last edited on 7 July 2018, at 14:34.